When it comes to short hair, it’s almost impossible to achieve a nice hair style without layers. Cutting your length above the shoulders without having layers to provide texture and remove bulk will result in one shape – a triangle. Short, layered hairstyles don’t have to involve wild pieces sticking out everywhere and can actually be quite minimal in order to achieve a beautiful shape. 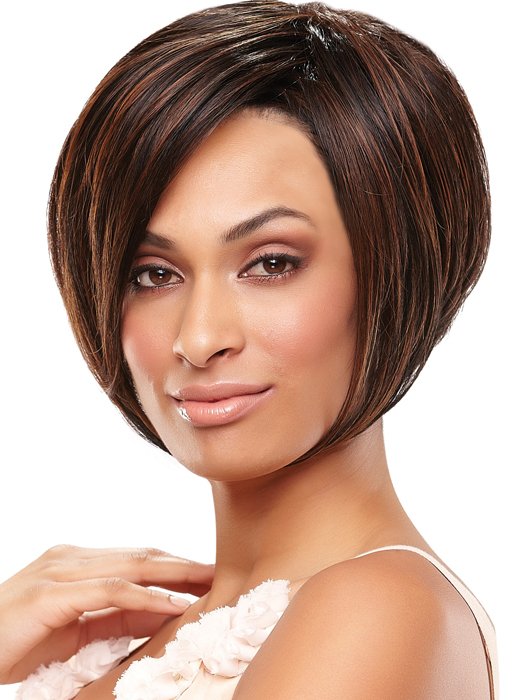 The bob hairstyle below, for example, has very long layers that create a tapered shape. On short hair, even long layers can work to provide extra volume. Short Layered Hairstyles, Bob style, Blonde hair – Get it here! Once your length is cut short, adding layers will improve your ability to style your hair and create your desired style. Hair can be cut in a way that will help the layers to fall in the appropriate direction and increase volume. Ideal for all hair types and textures, short layered hairstyles include many different looks. If you like to keep your hairstyle classic and simple, consider going for a bob. Even though they can appear to have no layers, a rounded or angled bob will have the layers cut gradually and texturized, using the layers just to create a uniform shape. Bobs can be sleek, easy to maintain and suitable for all ages. Short Layered Hairstyles, Heart shape face – Get it here! Having long layers incorporated into your bob can also assist you in styling it different ways. Curling your ends will result in a flattering shape with volume and body and the curl will hold well. Short Layered Hairstyles – Get it here! It would be impossible to achieve the look of this angled bob without layers. The angle at which layers are cut into the hairstyle will determine the sharpness of the angle and provide drama to this chic look. Usually, the layers at the nape of the neck are quite short and referred to as a ‘taper’. Short hairstyles with a little more interest are achieved with various types and lengths of layers. They can be cut very choppy to be prominent, or for the purpose of volume. Funky haircuts with flip, texture or curl are trending now, as they can allow you to show your personality. They can also be versatile and suitable for young, edgy women. This super short hair cut uses layers all over that are very texturized to create a flippy, spiked style. Layers are quite short along the part, while remaining a touch longer throughout the middle. This haircut was likely performed with tools other than scissors. A razor and thinning shears are helpful in creating this haircut. Short Layered Hairstyles, Asymmetrical bob – Get it here! With a cut like this one, attaining volume is the ultimate goal. Short layers on the top allow for maximum height while tapering displays the edgy asymmetry of the haircut. In the back, layers taper down into a shape that’s cropped close to the hairline. Short Layered Hairstyles, Blonde, messy style – Get it here! Choppy layers give this short, layered hairstyle a lot of versatility. Hair can be styled in any direction and can be worn messy to show off the texture, or sleek and combed to the side. The layers also offer maximum movement to this short cut. As women age, they tend to cut their hair shorter. There’s no rule that mature women must have short hair, it’s more of a personal choice. Hair’s density will be reduced and it won’t be as supple when we get older, resulting in the urge to get a short cut. These cuts require layers to maintain volume and shape and will assist in the ease of styling. Short Layered Hairstyles for Mature Women – Get it here! If your hair is naturally straight and fine, consider this tapered short cut with layers for movement. A long, side swept bang offers softness around the face and the style is great for all face shapes. Styling this haircut will be easy because the shortest layers are brow length. Suitable for mature women with thick, coarse or curly hair, this cut allows you to style the layers in various directions. With volume throughout the top and bangs, and a flip on the bottom, this hairstyle provides women with a feminine and flirty style, while still being age appropriate. The fine highlights offer definition to the layers and can help to disguise gray hair. Many mature women aren’t ready for a ‘grandma’ haircut and try to avoid a haircut that looks too ‘old’ when they go short. This style uses full, wispy layers that are texturized to maintain a funky look. Layers are styled toward the face and down the nape to accentuate the shape and frame the face. Since these layers have bulk removed from the ends, this cut can also be styled with a flip. -Consult with your hairstylist about what type of short, layered haircut will best suit your face shape. Certain hair cuts will either elongate or round the appearance of the face, therefore it’s important to choose a style that will be suitable on you. -How much styling time is required is something to keep in mind. If the style you choose has a different texture or curl pattern than your hair then you are almost guaranteed that styling will involve quite an effort. -What products and tools will be involved in styling is another topic you will need to discuss with your stylist. They can recommend the proper styling aids and brushes, however, if your style will require an expensive hot tool to achieve then you’ll want to consider that beforehand. -With short, layered haircuts you will need to get a trim more frequently. Layers can get bulky and bushy within about 4-6 weeks and will require some texturizing, if not – a complete cut. This extra maintenance will cost time and money. Although, many women consider it an equal trade-off since daily styling time will decrease. Short, layered haircuts can be very easy to care for on a daily basis. If the cut is suitable to your hair texture then the process of styling should be pretty straight forward. If you’ve received product and styling tool recommendations from your stylist then you’re one step closer to achieving your desired look. In addition, your stylist should be able to give you a lesson on styling your hair. You likely will not have to wash your hair everyday (or wet it down) in order to restyle. Short, layered hair will naturally have enough volume to last through a few days and may be freshened up with an aerosol dry shampoo. 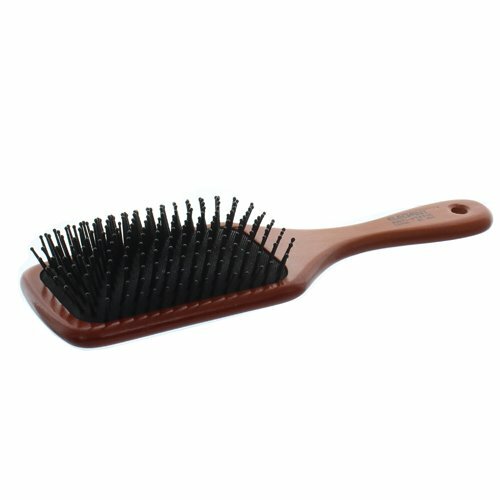 Spray this product at your roots and either use your hands or a brush to fluff up your hair, finishing with hairspray. If you’re starting your style from wet hair, make sure to first start by towel drying thoroughly. These type of haircuts are more easily styled when hair is almost dry. Combing or brushing your hair into the style you want to achieve will help you stay on track when you’re blowdrying. Most short haircuts will require a styling aid like a gel or mousse to attain volume and define layers. A light to moderate hold product will be appropriate for your short, layered hair and should not leave your hair stiff or crispy once you blow dry it. Many of these styles will require blow drying, and it’s worth it to invest in a professional blow dryer to produce a smoother and quicker style. With a higher temperature and more power, you will notice an improvement to your end result when using a really good blow dryer. 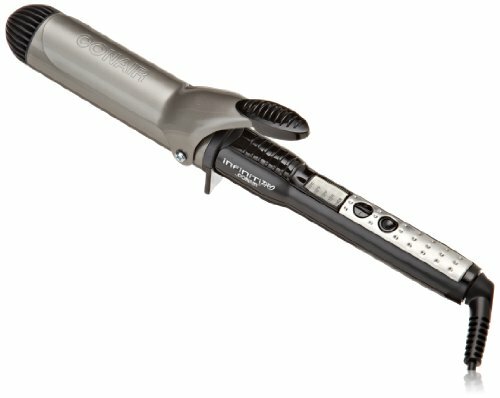 Another useful tool for styling your short, layered hair is a curling iron. Since hair is quite short, you won’t necessarily achieve curls, but using it for getting volume and flipping your ends can be quite effective. A small barrel curling iron that measures an inch or less will be the ideal size for short hair. Finishing products will usually be necessary when styling short hair with layers. If your desired look is textured and shows off your layers you will require a finishing paste like a pomade or wax. Using just a bit of this and rubbing it in your hands before applying throughout your hair will result in defined layers. If you’ve achieved your desired style by blow drying or curling and just want to make sure it holds through the day then just a hairspray will suffice. Ensure that you’re spraying from at least 10 inches away from your hair in order to get an even application. Short haircuts with layers combine the two things that women find the riskiest when it comes to hairstyles. Many women are reluctant to cut their hair short with the fear of not feeling feminine. Layers may also be scary for some if they’ve had bad experiences that resulted in ugly or difficult layers. If you’re hoping to take the plunge and get a short, layered haircut, then find a hairstylist you trust. Layers on short hair can be beautiful, feminine and easy to manage. There is no shortage of options for short hair and the style is ultimately achieved with the incorporation of layering. Considering your face shape, hair texture, styling time, maintenance and personality will help you choose the look that’s most suitable to you. OLIXE MAGAZINE claims no credit for any images featured on this site unless otherwise noted. All visual content is copyright to its respectful owners. If you own right to any of the images, and do not wish them to appear here, please contact us and they will be promptly removed.